Extremely loved and cared for home with peace and serenity! Who wants to live on the lake to enjoy water sports, fishing, kayaking or swimming and sunbathing?? This home has a master on the main level. 2nd bedroom upstairs with full bathroom. Basement level can be either a large bonus room or extra sleeping area (or both!). 1 car garage with level driveway. Steps or ATV path to the dock that is in a deep water cove. Year round water. Home is in move-in condition. 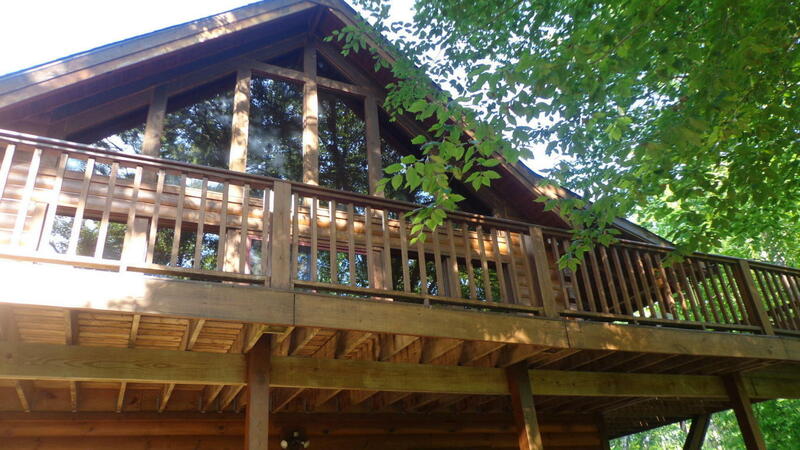 View the wildlife from your upper deck - such a beautiful setting! Come check out this impeccable property. Bedroom 2: Loft Bedroom, Office And Full Bathroom.